Weather conditions provided the fourth consecutive day of good support for the 2014 bloom, with clear skies and calm winds providing plenty of opportunities for the bees to work the fields. Almond orchards across the region are seeing the early blooming Sonora variety is easing into the completion of its bloom period, led by the California types, the Nonpareil has also begun its precipitous decline from the peak bloom achieved just a few days ago. Nutlets of the Sonora, Winters and Peerless varieties can now be easily found growing within their jackets, with jackets in advanced planting also splitting to reveal the developing nut. Along with the jacket split comes increased susceptibility to frost, inspiring growers to ensure that their orchards are in the best possible condition to avoid damaging temperatures. The Carmel and Monterey are now just beyond their peak bloom, with both presenting the vast majority their flowers for pollination, offering excellent coverage of their Nonpareil and California type orchard-mates. The focus of the bees’ attention is now shifting to the late blooming Butte and Padre, which are aggressively moving towards their peak bloom. Growers are hoping that the bees will have enough time to adequately cover the pollination needs of these late-blooming varieties before the rain forces them to remain in their hives. 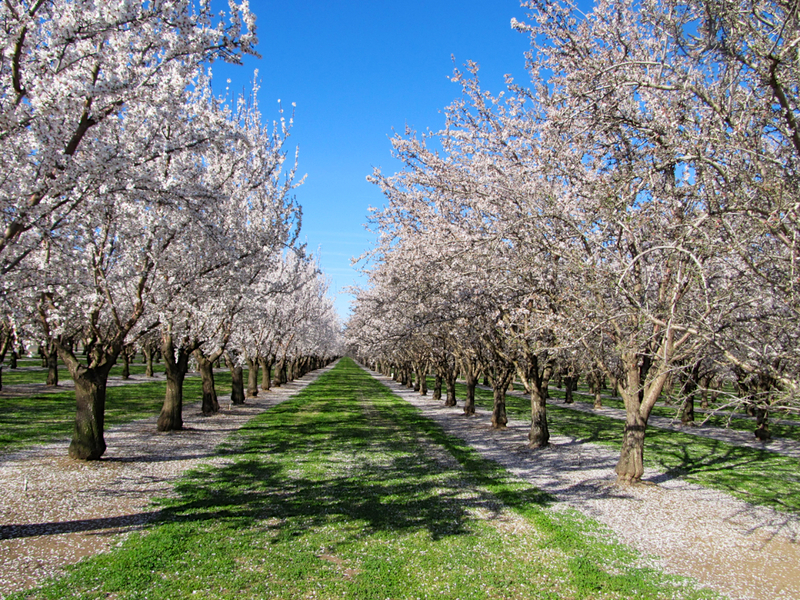 Throughout the growing region almond orchards were alive with activity on Monday as growers prepared for the rain forecast to arrive on Wednesday. Forecasters are calling for as much as three inches of rain on the valley floor, which will make entry into the orchards after the storm’s passage problematic. As a result, growers were racing to complete orchard tasks prior to the arrival of the rain. 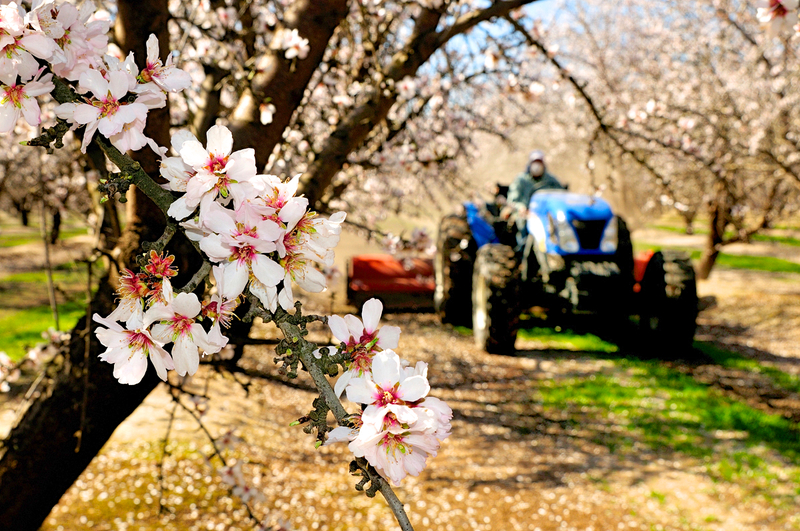 Mowers and sprayers could be easily found working in the orchards, reducing vegetation in the orchard “middles”, between the tree rows, controlling weed growth within the tree row and applying preventative fungicide materials to the trees in advance of the rain. All in the region are hopeful that the approaching storm will add significant snowfall in the Sierra Nevada watershed and recognize that it will take a number of storm systems to meet the state’s needs.